Whether you’re sports crazy, a petrolhead, a movie buff, or a have a record collection that could rival Spotify, Man Caves will help you create a sanctuary in your own home in which to enjoy your hobbies. In need of a spot where you can escape another Sunday afternoon Frozen sing-along with the kids and watch the big game instead? Are you slowly running out of shelf space for that ever-growing comic book collection? Has your despairing partner finally given you the “It’s me or the motorbikes” ultimatum? Does any of this sound familiar? If so it’s time to start thinking about setting up a space of your own; a place where you can collect, create, or simply spend a few blissful hours away from it all. Every man needs one of these! 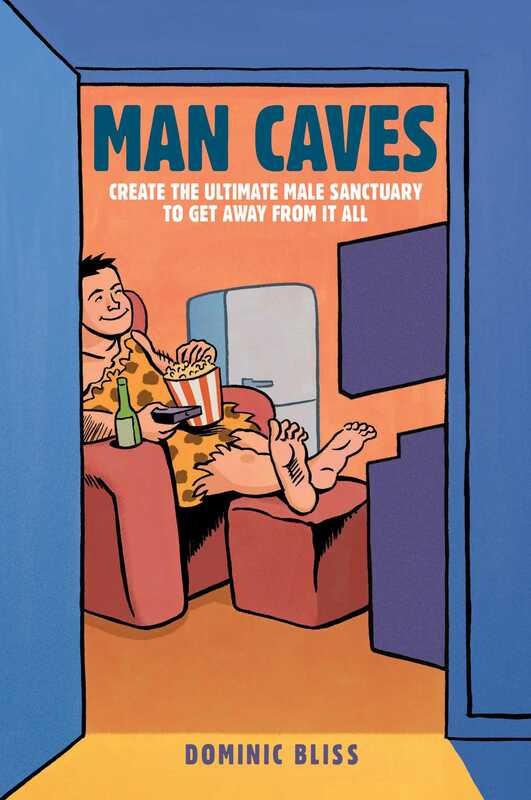 With ideas for creating over 25 amazing themed man caves, there’s a space to suit all interests. Each entry comes with advice on layouts and the various things you’ll need to fill your cave, plus a guide to the finest pieces of kit money can buy—from home-brewing equipment to cigar humidors. Also included is helpful advice on setting up your man cave, working with the space you have, and the essentials every man cave needs.